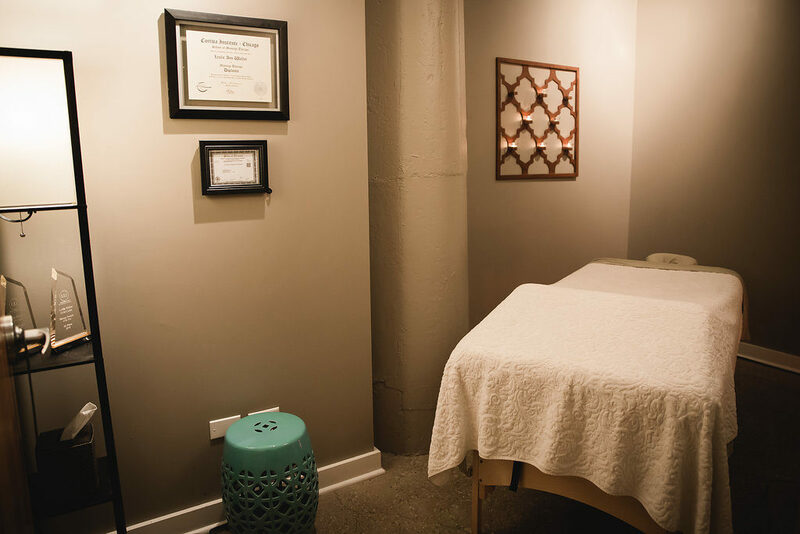 Insightful and intentional massage therapy in River North. I provide anatomically focused massage that incorporates myofacial, trigger point, deep tissue, Zen Shiatsu, and Swedish techniques. In addition to massage therapy, I am MAT Jumpstart certified. I work with a diverse clientele from professional golfers and bodybuilders to expectant mom’s. I also help endurance athletes avoid injuries and get the most out of training for marathons and triathlons. The massage tent at events like the Chicago Marathon and Chicago Triathlon is another place I love to work. My goal is to keep people moving throughout their life, to protect joints from wear and tear, reduce the aches and pains of aging, and help people maintain full and active lives no matter what stage of life they are in. You can find me in the heart of River North, steps off the Brown line within Lateral Fitness, a full amenity boutique fitness studio. 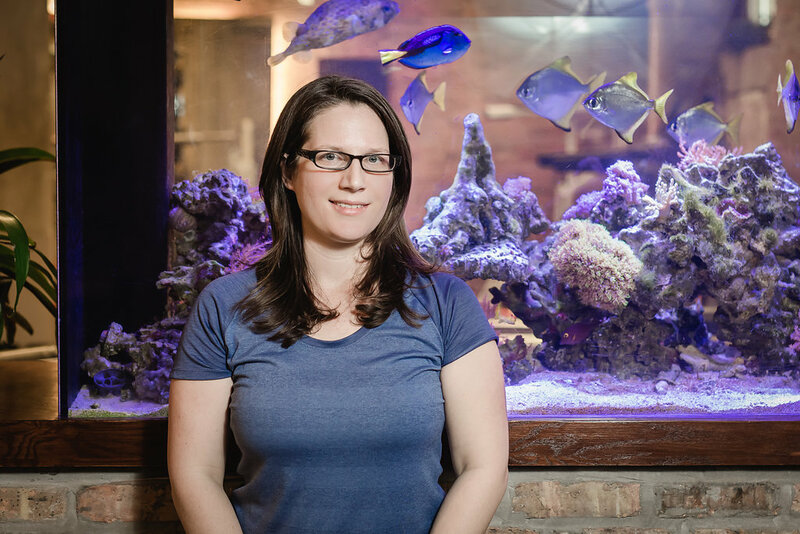 Welcomed by warm brick and a tranquil tropical aquarium, an amazing experience is about to start. Clients can enjoy a relaxing shower in a luxury locker room stocked with toiletries before or after a massage making it easy to fit in a session during your day.